The masterful #1 New York Times bestselling story collection from O. Henry Prize winner Stephen King that includes twenty-one iconic stories with accompanying autobiographical comments on when, why and how he came to write (or rewrite) each one. 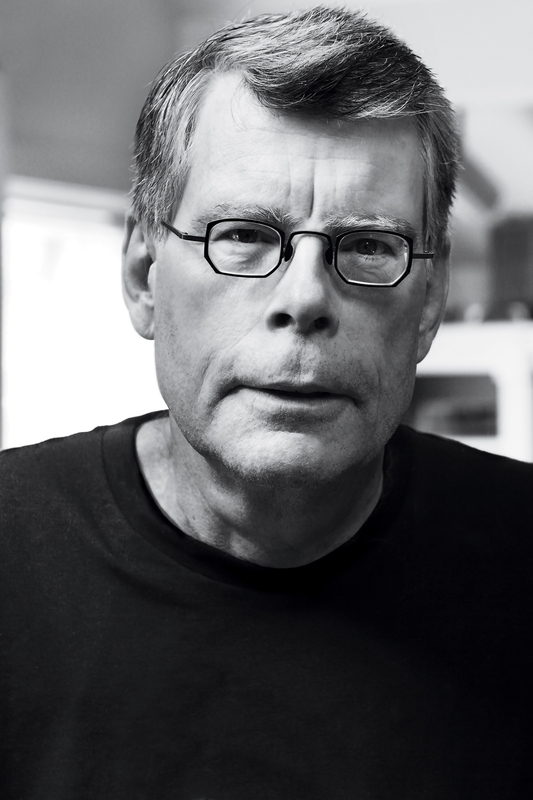 For more than thirty-five years, Stephen King has dazzled readers with his genius as a writer of short fiction. In this new collection he introduces each story with a passage about its origins or his motivations for writing it. 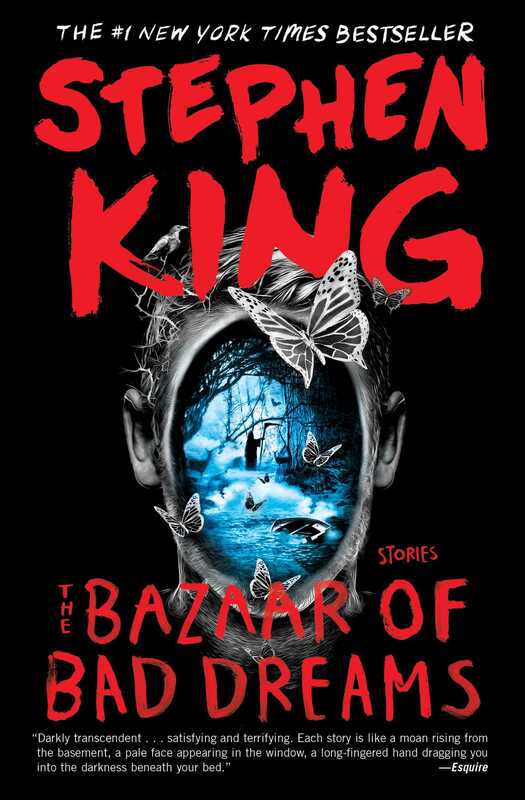 As Entertainment Weekly said about this collection: “Bazaar of Bad Dreams is bursting with classic King terror, but what we love most are the thoughtful introductions he gives to each tale that explain what was going on in his life as he wrote it." There are thrilling connections between stories; themes of morality, the afterlife, guilt, what we would do differently if we could see into the future or correct the mistakes of the past. In “Afterlife,” a man who died of colon cancer keeps reliving the same life, repeating his mistakes over and over again. Several stories feature characters at the end of life, revisiting their crimes and misdemeanors. Others address what happens when someone discovers that he has supernatural powers—the columnist who kills people by writing their obituaries in “Obits;” the old judge in “The Dune” who, as a boy, canoed to a deserted island and saw names written in the sand, people who then died in freak accidents. In “Morality,” King looks at how a marriage and two lives fall apart after the wife and husband enter into what seems, at first, a devil’s pact they can win. You’d be surprised—at least, I think you would be—at how many people ask me why I still write short stories. The reason is pretty simple: writing them makes me happy, because I was built to entertain. I can’t play the guitar very well, and I can’t tap-dance at all, but I can do this. So I do. I’m a novelist by nature, I will grant you that, and I have a particular liking for the long ones that create an immersive experience for writer and reader, where the fiction has a chance to become a world that’s almost real. When a long book succeeds, the writer and reader are not just having an affair; they are married. When I get a letter from a reader who says he or she was sorry when The Stand or 11/22/63 came to an end, I feel that book has been a success. But there’s something to be said for a shorter, more intense experience. It can be invigorating, sometimes even shocking, like a waltz with a stranger you will never see again, or a kiss in the dark, or a beautiful curio for sale laid out on a cheap blanket at a street bazaar. And, yes, when my stories are collected, I always feel like a street vendor, one who sells only at midnight. I spread my assortment out, inviting the reader—that’s you—to come and take your pick. But I always add the proper caveat: be careful, my dear, because some of these items are dangerous. They are the ones with bad dreams hidden inside, the ones you can’t stop thinking about when sleep is slow to come and you wonder why the closet door is open, when you know perfectly well that you shut it. If I said I always enjoyed the strict discipline shorter works of fiction impose, I’d be lying. Short stories require a kind of acrobatic skill that takes a lot of tiresome practice. Easy reading is the product of hard writing, some teachers say, and it’s true. Miscues that can be overlooked in a novel become glaringly obvious in a short story. Strict discipline is necessary. The writer has to rein in his impulse to follow certain entrancing side paths and stick to the main route. I never feel the limitations of my talent so keenly as I do when writing short fiction. I have struggled with feelings of inadequacy, a soul-deep fear that I will be unable to bridge the gap between a great idea and the realization of that idea’s potential. What that comes down to, in plain English, is that the finished product never seems quite as good as the splendid idea that rose from the subconscious one day, along with the excited thought, Ah man! I gotta write this right away! Sometimes the result is pretty good, though. And every once in awhile, the result is even better than the original concept. I love it when that happens. The real challenge is getting into the damned thing, and I believe that’s why so many would-be writers with great ideas never actually pick up the pen or start tapping away at the keys. All too often, it’s like trying to start a car on a cold day. At first the motor doesn’t even crank, it only groans. But if you keep at it (and if the battery doesn’t die), the engine starts . . . runs rough . . . and then smooths out. There are stories here that came in a flash of inspiration (“Summer Thunder” was one of those), and had to be written at once, even if it meant interrupting work on a novel. There are others, like “Mile 81,” that have waited their turn patiently for decades. Yet the strict focus needed to create a good short story is always the same. Writing novels is a little like playing baseball, where the game goes on for as long as it needs to, even if that means twenty innings. Writing short stories is more like playing basketball or football: you’re competing against the clock as well as the other team. When it comes to writing fiction, long or short, the learning curve never ends. I may be a Professional Writer to the IRS when I file my tax return, but in creative terms, I’m still an amateur, still learning my craft. We all are. Every day spent writing is a learning experience, and a battle to do something new. Phoning it in is not allowed. One cannot increase one’s talent—that comes with the package—but it is possible to keep talent from shrinking. At least, I like to think so. And hey! I still love it. So here are the goods, my dear Constant Reader. Tonight I’m selling a bit of everything—a monster that looks like a car (shades of Christine), a man who can kill you by writing your obituary, an e-reader that accesses parallel worlds, and that all-time favorite, the end of the human race. I like to sell this stuff when the rest of the vendors have long since gone home, when the streets are deserted and a cold rind of moon floats over the canyons of the city. That’s when I like to spread my blanket and lay out my goods. That’s enough talk. Perhaps you’d like to buy something, now, yes? Everything you see is handcrafted, and while I love each and every item, I’m happy to sell them, because I made them especially for you. Feel free to examine them, but please be careful. The best of them have teeth. "A gathering of short stories by an ascended master of the form... This collection speaks to King's considerable abilities as a writer of genre fiction who manages to expand and improve the genre as he works; certainly no one has invested ordinary reality and ordinary objects with as much creepiness as King... Best of all, lifting the curtain, King prefaces the stories with notes about how they came about. Those notes alone make this a must for aspiring writers." "To the reader's delight, King provides a backstory for each tale, enticing the reader with a memory or scenario that prompted that particular selection's birth... The stories collected here are riveting and sometimes haunting, as is the author's style. Surprise endings abound. King is in a class all by himself. Be prepared to read voraciously." “A triumph…Stephen King’s shorter works have inspired readers, writers, filmmakers and other artists for more than 40 years. His newest short story collection, THE BAZAAR OF BAD DREAMS, continues his tradition of compulsively readable short stories, novellas and narrative poems that will thrill fans looking for scares, surprise critics that write him off as a ‘genre’ author and inform artists about his personal creative process…[the] introductions are a fascinating look into the mind of one of the most popular writers in the world, and much like his writers’ manual “On Writing,” he provides readers with concise and insightful observations about the art of the written word…remarkably resonant… The last story of the collection, ‘Summer Thunder,’ takes the reader through the last days of two survivors of a worldwide nuclear holocaust… the last lines of the story are some of the most emotionally powerful sentences Mr. King has ever committed to paper — they will leave readers weepy, uplifted and satisfied…With THE BAZAAR OF BAD DREAMS, Stephen King has achieved something rare: a short story collection with no weak spots. From a woman confronted with the limits of empathy and the reality of pain, to a man who sees the names of the doomed written in sand, the pieces play off of one another to create a cohesive reading experience filled with optimism, sadness and a search for answers to life’s unanswerable questions. While these stories may conjure up a few nightmares, they also will delight, inspire and, most importantly, entertain readers willing to make the journey." “[A] meaty collection with interesting insights into the creative process of a writer who caused many sleepless nights. Well worth keeping on your bedside table for those evenings when, as King puts it:‘... sleep is slow to come and you wonder why the closet door is open, when you know perfectly well that you shut it.’"